For many reasons this has been a difficult post to write. You see I’ve recently suffered a loss. A month ago I received the bad news that I was in fact a bit fat. This of course came as a complete surprise to me as I’ve always thought of myself as eloquently portly, but no. While dressing one morning I caught sight of my visage in the mirror and did a classic comedy double-take to see what rotund interloper was standing behind me, alas I was alone. Just me and my engorged belly. This will not do, I decided, and promptly sprang (or more accurately rolled) into action. Desperate times call for drastic measures and this has seen the implementation of a harsh diet that has stripped flesh from my bones and biscuits from my fingers. The pain has been of a magnitude probably never known to man before, but slowly the tide is turning and land is once more in sight. I’m sure you’ve heard it said that absence makes the heart grow fonder, and this has proven very much to be the case. At times I swear I can hear the merry laughter of Happy Faces as I pass by the kitchen, or find myself dragged ever closer to the rocks of destruction by the siren song of an open packet of Oreos teasing me with the delights that lay so close. And here in the midst of my sufferings I have discovered something shocking. I warn you dear, sweet reader that what I have to say may affect the rest of your lives. It could leave you hopeless, with crushed hearts that may never learn to love again. So tread warily if you wish to follow me into the darkened halls of unwelcome truths. Alright, here it is, brace yourselves……biscuits are not our friends. There! I said it. Please, stop the screaming at the back, you knew it really…deep down inside. Yes, we’ve been duped. How could packaging that seems to burst forth with promises of joy and life in all its fullness be such a perjurious house of lies? Truly there have been times in my life that I counted Digestives and Bourbons among my most trusted confidants, only now to see that they were nothing but alluring mistresses with allegiances solely to the sugar fields. Even the Jammy Dodger, that innocent and most jocular of confection, with its cheeky smile and bejewelled centre was no more than a harlot and me its willing cuckold. Yes, cry it from the rooftops, let your barbaric yawp hail this treason so it dare not prosper, but do it in vain…for our end is at hand. Who am I fooling? What full blooded man could resist the entreatments of a Ginger Nut? Or stay resolute when a Jaffa Cake flaunts its smashing orangey bit in his face? Let the truth be told and the heavens fall, the biscuits have us in their grasp and I for one welcome our new overlords with a whetted palette and fevered hunger. Such delectation and tasty doom awaits me and yet I fall knowingly into it’s arms, teacup in hand. Oblivion take me, I am done! Guess that buggers up the diet then…. We have already seen the dangers that lie await for the unsuspecting biscuiteer, but now we move onto one of the most treacherous waters in our quest for ‘Biscuit Enlightenment’. In many cultures there are metaphorical lines drawn in the sand that once crossed by an innocent unversed in their social mores can lead to much offence and in some parts of the stereotypical world a short trip to large boiling pot laced with carrots, onions, and the obligatory pith helmet. In Britain this manners faultline is placed on the precarious tectonic plates of dunking and not dunking. It has oft been stated that you never get another chance to make a first impression. This is certainly the case in the world of biscuitry immersion. You can be seated in the home of a charming family, enjoying maybe a game of bridge while in the background the children softly sing heartwarming renditions of songs they’ve written to accompany the works of Benjamin Britten, when into your hand is placed a cup of tea with two small biscuits nestling on the saucer. You smile gratefully into the butlers face, place the beverage on your table, take a biscuit gently in your fingers and then plunge it into the tea. Immediately screams fill the air around you and your bridge partner collapses (requiring the attention of your opponents, who now curse your name for spoiling their chance to play a Ruffing Finesse). The children are torn from the room by a distraught nanny screaming at them to cover their eyes, while the lady of the house runs to her bureau where she pens a missive to the Duke of Monmoth demanding that he head at once to the Commons were he should beseech Parliament to declare war on her wretched guest. Things had been going so well. To avoid this oh-so-familiar story there are certain survival tactics that you can employ. Firstly one of observation. If the cup you are handed is of a fine bone-China variety, maybe with an ornate and stomach-turning rendition of various flora adorning both it and the accompanying saucer, then the chances are that you are in a non-dipping house. The biscuits will aid your detection too. If they are small, sugared, and generally dainty in vista then once again you should refrain from an act of baptism. If on the other hand you are presented with a mug (of any description) then submerge your confection with gay abandon. 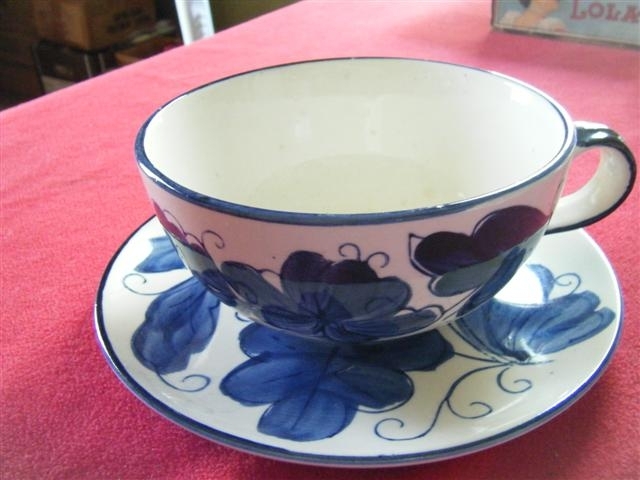 The real difficulty arises when you are in a home that plays host to the modern ‘large-cup’. This hybrid vessel is often a sign of the owners uncertainty in their social standing. Be wary of these people as they may be likely to crack at any moment under the pressure of class distinction. In this most perilous of situations your survival will hang on your ability to get them to dip first. A tried and tested method is the ‘Whorish Flaunt’ pioneered by the Earl of Wessex in 1807. You should take the biscuit in full view of your hosts, tease the edge of the cup with it while absently chatting, then tantilisingly withdraw it to your mouth, all the time gauging the response of your potential assailants. If you sense any sort of arousal in their posture then they may be showing their hand too early in an attempt to draw you out – bide your time. Engage them in conversation about the abhorrent weather for this time of year, or how there’s nothing of worth on television any more, lure them into a sense of security and familiarity until finally one of them will either dip or finish their biscuits. Your steely nerves and adherence to the method will serve to make you the victor in this desperate game of ‘Parlour Roulette’ and allow you to avoid obliteration for at least one more social encounter. One rule that is universally clear though, in any situation or setting, is to avoid people who dip chocolate biscuits…as they’re just plebs. The biscuit world is awash with pretenders and charlatans. We’ve all seen them…offering the promise of cake when they’re clearly nothing of the kind, or wearing airs and graces that sit oddly with the paucity of their origins. Thankfully there is at least one biscuit that wears a nobility and bearing that brings certainty to the world. A confection upon which a way of life can be built. A teatime snack that is all things to all men. I speak of course of the wondrous Digestive. Its unassuming face and structure suggest a simplicity that most find comforting and instantly appealing. Here you will not discover sticky fillings that must be carefully negotiated, or flaky carapaces that seem taut to the point of explosion as they approach the unwary mouth. No. The quiet, determined aura of the Digestive reassures you that it’s on your side. As Nelson prepared his battle plans for the engagement at Trafalgar, and wrestled with the dangers of his ‘Touch’ manoeuver, you know that as he slumped into his captains chair, took his tea in his hands, felt the gentle roll of the cabin beneath his feet, and picked up a digestive that his kindly steward had saved for a time as dark as this, he would have felt his worries melt away and his courage return whilst in the company of such reserved strength. So what makes the digestive so special? Well, it has a unique place in the nation’s heart in so far as you will find it just as readily being dunked into the tea of builders while on their tea-break as you will on the fine china plate of royalty. The special blend of sweetness, alongside the perfect balance of tensile strength that means it stays crisp in the bite but quickly melts into your mouth, lends it what William Blake once described as a ‘fearful symmetry’. It can bear being buttered to make digestive sandwiches, brave the hot waters of tea without falling apart, and dwell happily amongst its biscuit brethren without appearing to be trying too hard. In many ways it represents the British as we want to be seen. A stiff upper lip, hardy in the travel, most palatable, and able to walk with paupers and kings. Ask anyone whether they want a digestive and the answer will be unanimous in the affirmative – unless the people you are proffering them too are either escaped mental patients or possibly French. So, the digestive is a confectionary representation of the British ideal. 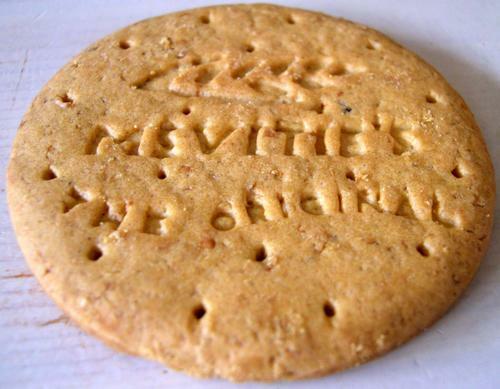 It is quite simply Michael Palin in biscuit form. It doesn’t take much scratching at the surface of the British culture to uncover some kind of reference to the first, or more prominently, the second world war. In many ways it was the last great act of this nation played out on a global scale. The ingredients were perfect. Europe was conquered by the Nazis, who embody everything that is thought of as evil in the world, and all that stood between England and this unstoppable force was a thin stretch of sea, a relative handful of troops, and a sense of community that refused to be broken by bombing and propaganda. Obviously the entire war wasn’t won by the British. Our American allies joined ranks after the Japanese attacked Pearl Harbour, and Hitler’s decision to invade Russia, thus splitting his forces (and being beaten by the harsh Russian winter that had already defeated Napoleon’s attempts to extend France’s kingdom), played a massive part in the eventual German surrender. But, for that brief time of 1939-1941 the nation stood alone against the forces of evil and declared ‘they shall not pass’. Now, 65 years later, it seems the war has left a different kind of scar than those usually administered on the battlefield. It’s said that victims who’ve lost limbs sometimes feel iches where the arm or leg used to be, and I think that Brits have that same feeling, although it’s not a limb that’s missing but rather a sense of importance. Imagine if you’d spent your childhood being taught that your country was the most powerful on the planet. That at one point in the not too distant past you had built an empire that was greater than any in history (Rome, Greece, Mongol – mere windowboxes in comparison) and which had lasted for over a century. That your tiny country effectively owned the world. Then you read on, and a pattern emerges. Slowly the empire rebels against their unwanted rulers and piece by piece the markings on maps turn from pink (why did they choose pink to mark the British Empire? That’s just embarrassing! Did they think it made our colonisations look more friendly?) back to the chosen colour of the now free country. In the end you’re left with a handful of willing commonwealth countries, proud of their association with us, but to whom it is nigh on impossible to emigrate to. All of a sudden England feels like what it is….an island. Now it would be unpalatable to hark back to the days of empire, mainly because the countries involved were essentially slaves who we’d beaten into submission. But the War, now that’s different. Here we can revel in our strong military history and remind ourselves of the underdog (another strong British trait which we will explore in a later post) winning against the odds. It appears in our sports headlines where any football game of importance with the Germans is always surrounded by some kind of war-like rhetoric, usually spouted by those too young to have had any involvement in the horrors themselves. In fact as we’ve managed to fight with almost every country in the world at some point (Argentina, France, Holland, America, Scotland, Ireland etc…) it can find its way into many national settings. The problem is our stories have all gotten old. Rather than celebrate intellectual achievements in the fields of science, art, and literature which still occur today, we’d rather tub-thump about how we whopped the Krauts all those years ago. Sometimes we must sound like that old drunk in the bar that no-one wants to talk to because all he’ll do is tell you about how he boxed when he was young…and that he was good. Thankfully there is hope. A new Britain is finally trying to emerge, one of incredible ethnic and ideological diversity that sees the future as an undiscovered land full of possibilities and is freeing itself from the clutches of its parents’ glory days. They’re not interested in owning the world, but rather contributing something to it. That kind of optimism and idealism will be needed to overcome the classic British pragmatism, but I have to say that I feel good about this. Maybe now we can emerge from the shadow of our past and become something new, more colourful, and…better? I for one will be rolling up my sleeves and preparing for the hard graft ahead. I hope we do well and forge something, as Tolkien said, ‘Worthy of a song’.